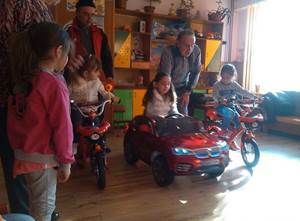 A total of 338 children from the target group – children from the local community at the age of 3 to 6 years- will be involved in the project. 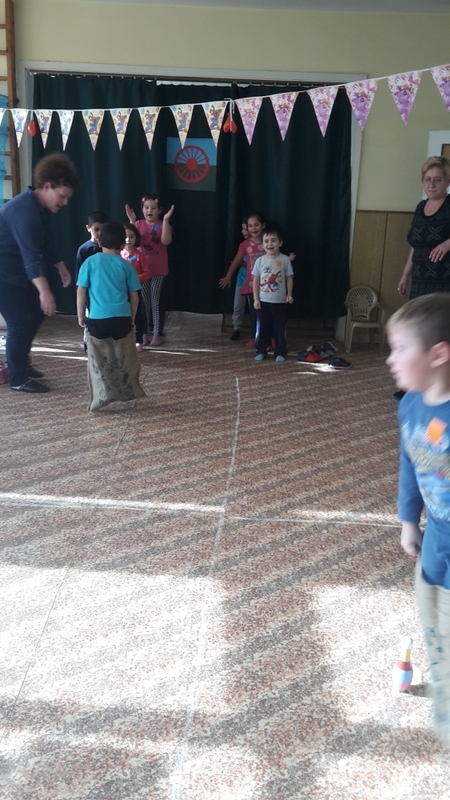 They include children at risk of social exclusion and poverty – 110 children from Roma communities and 62 children from low income vulnerable families. 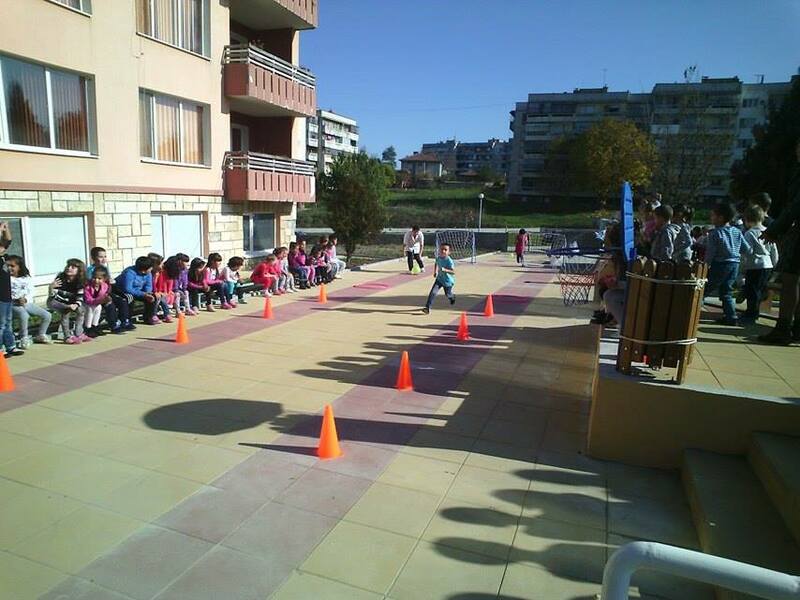 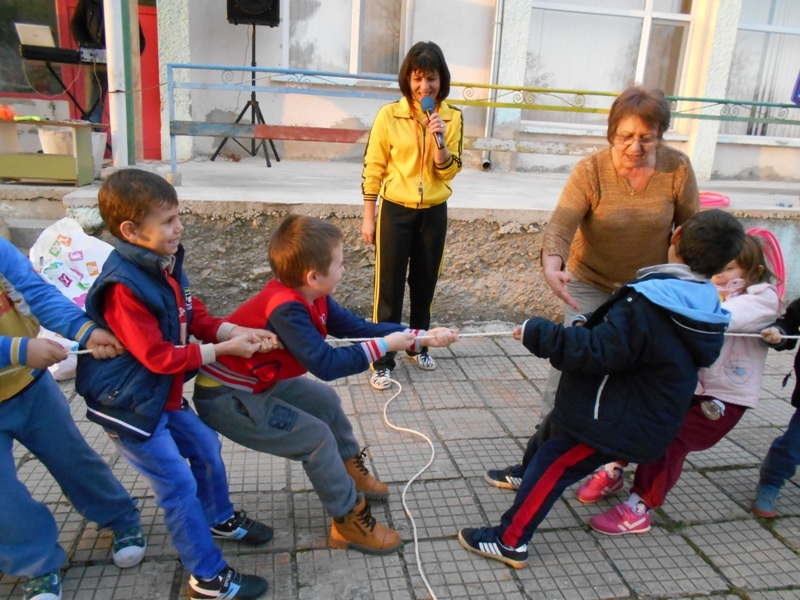 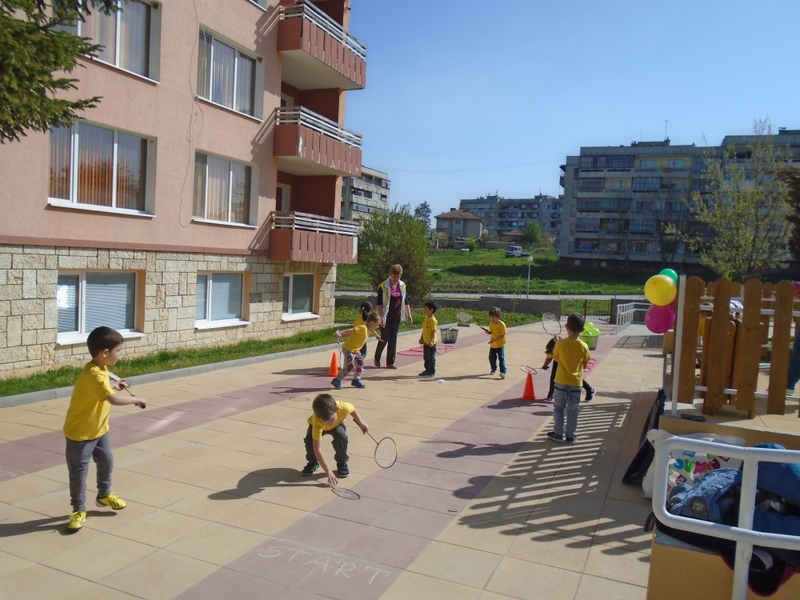 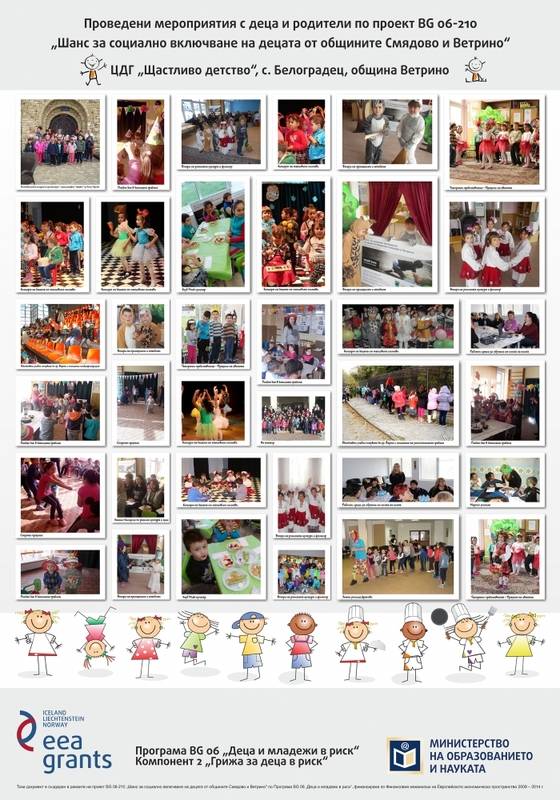 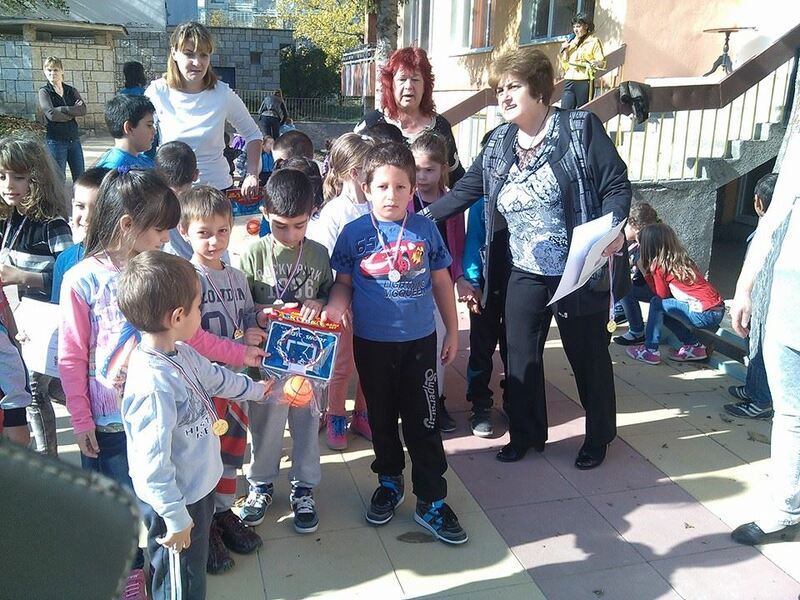 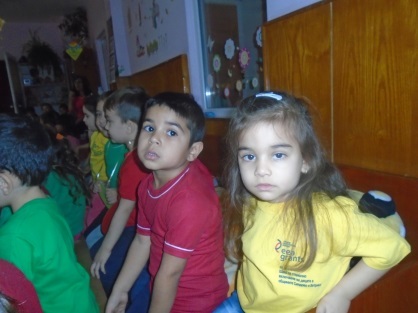 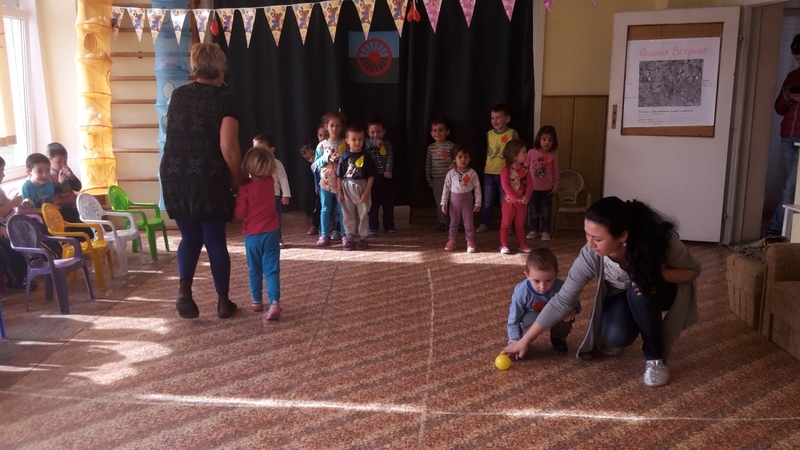 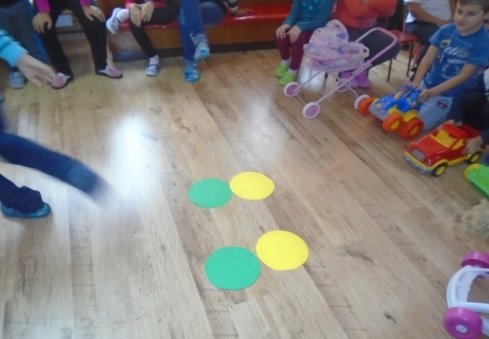 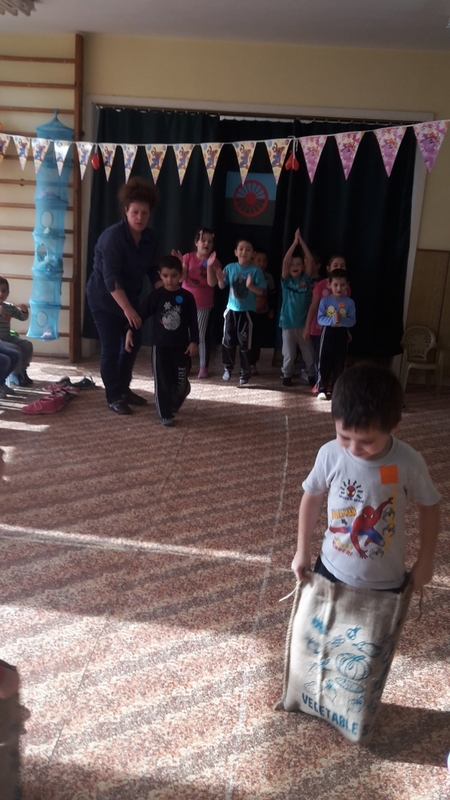 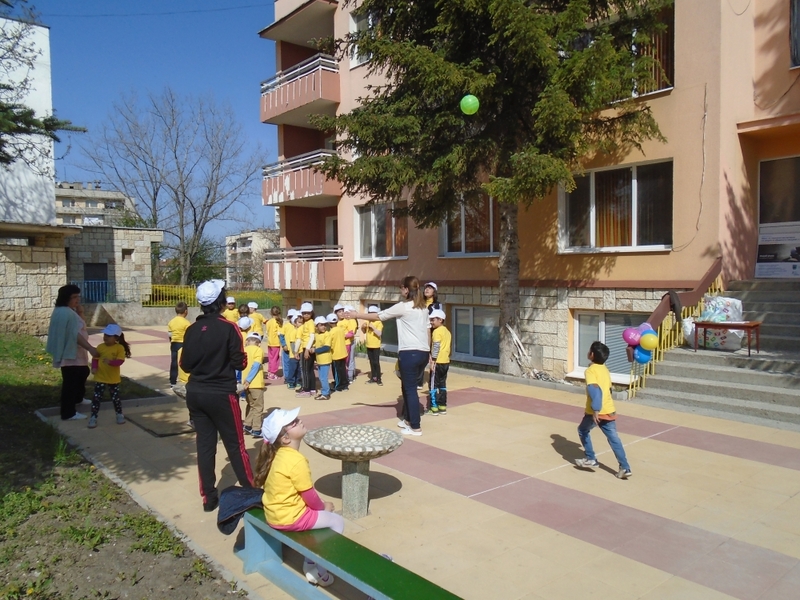 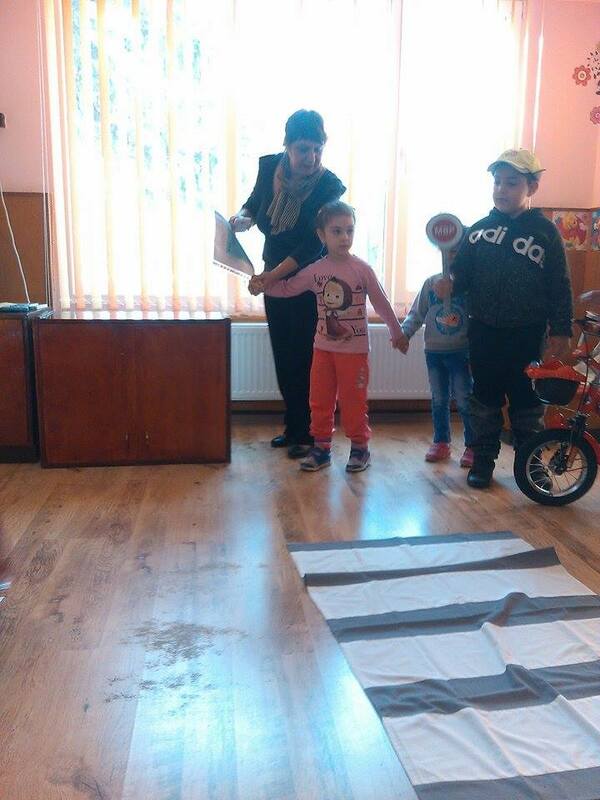 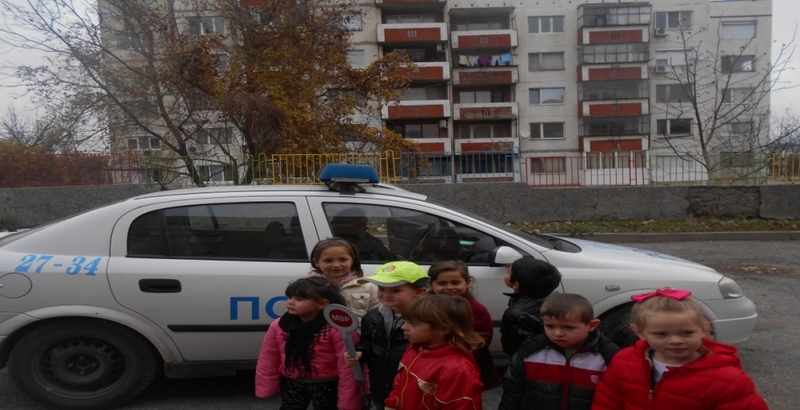 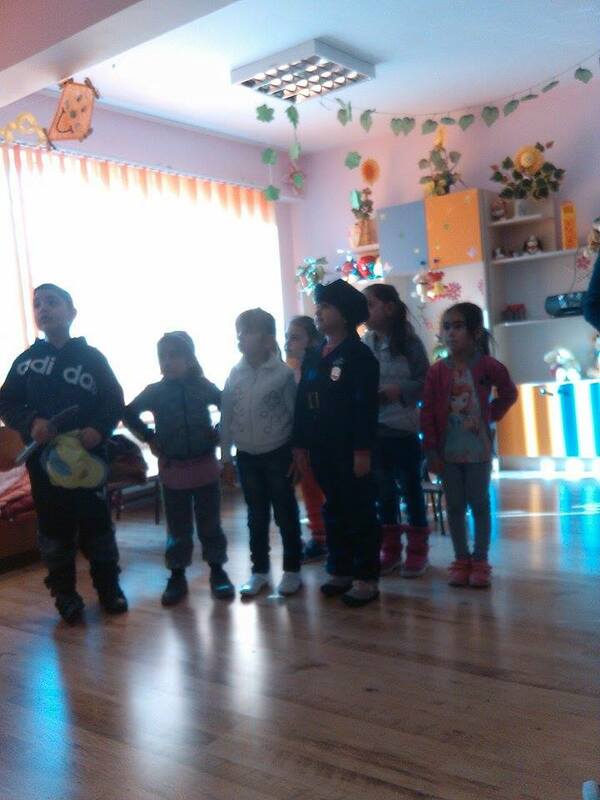 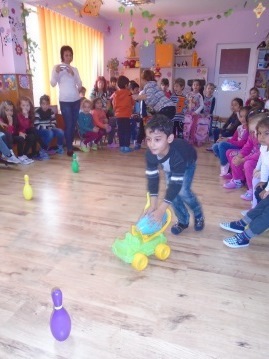 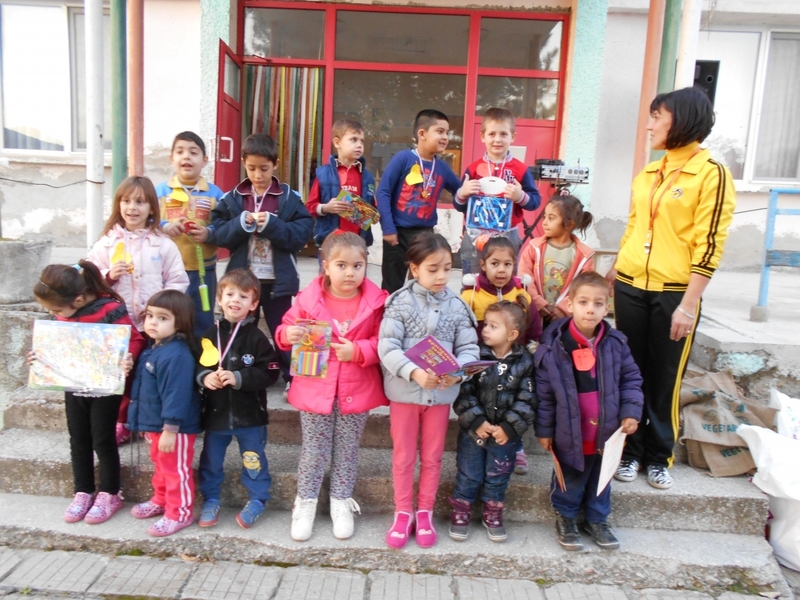 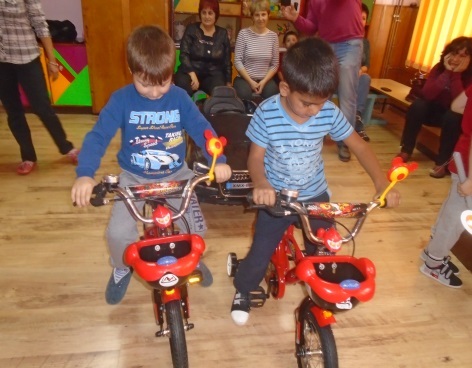 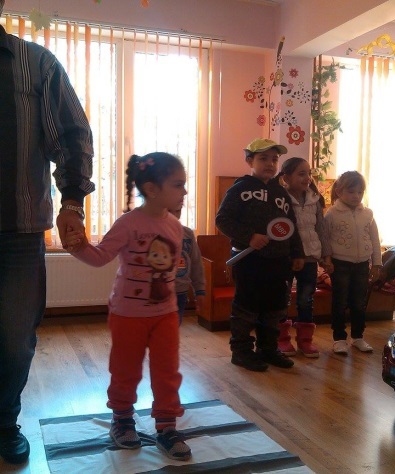 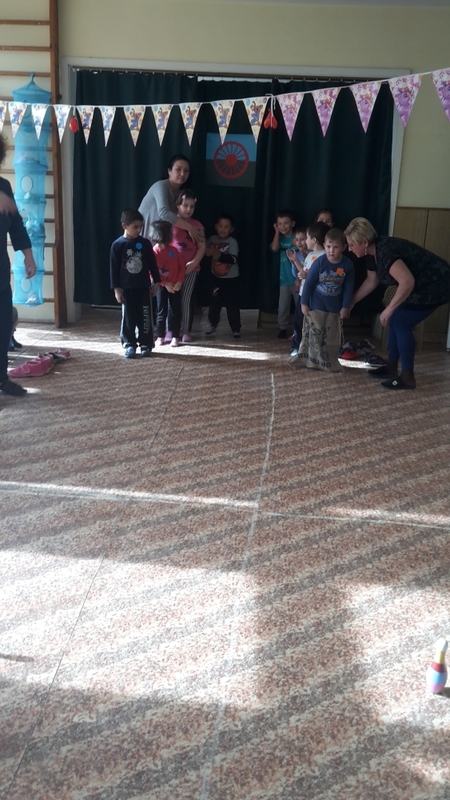 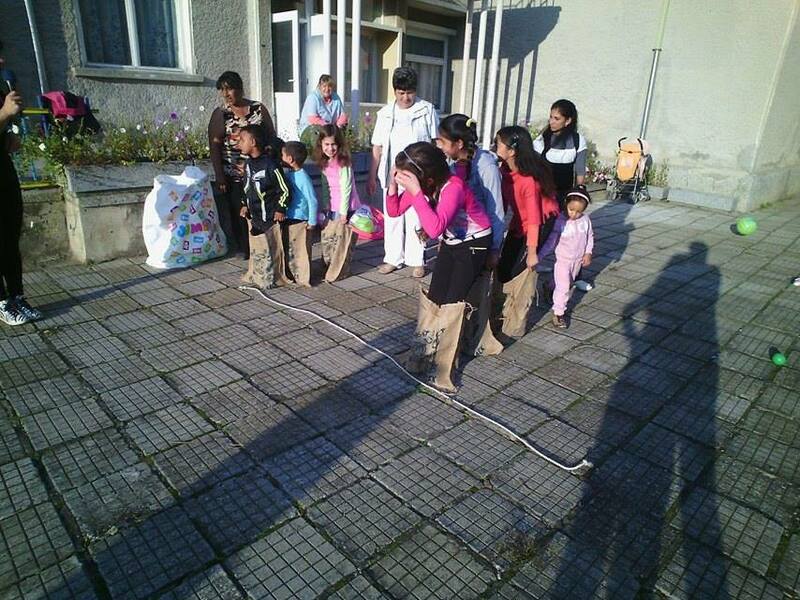 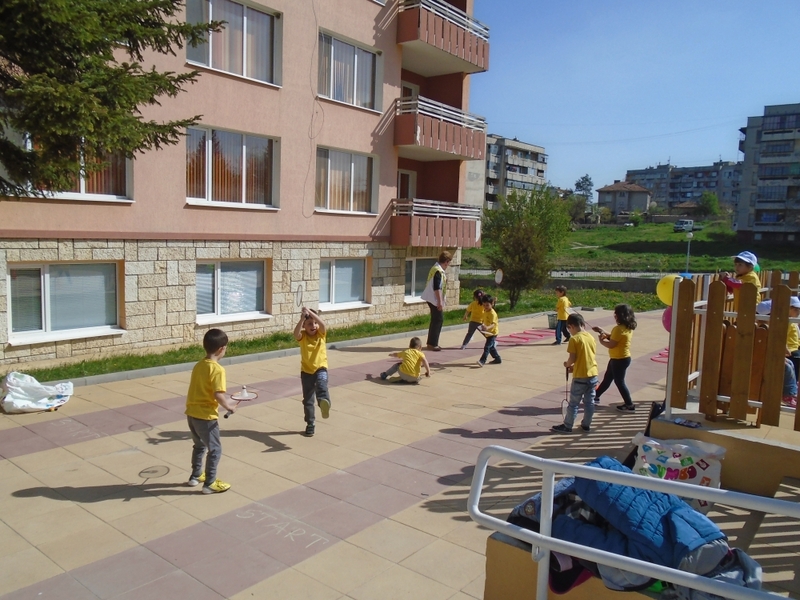 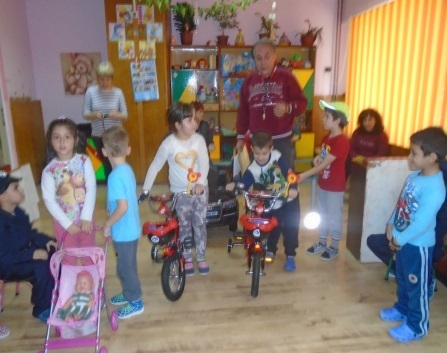 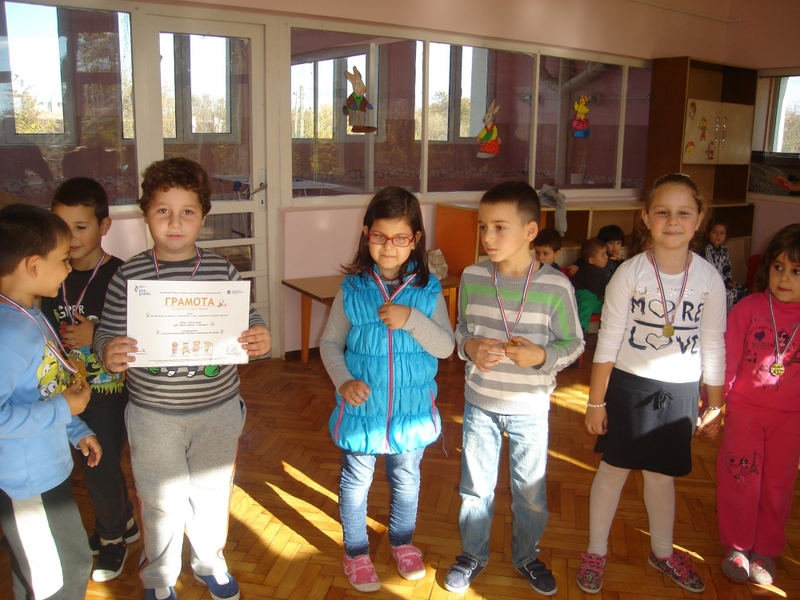 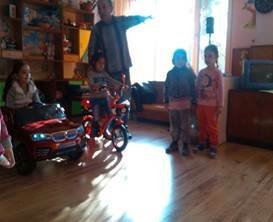 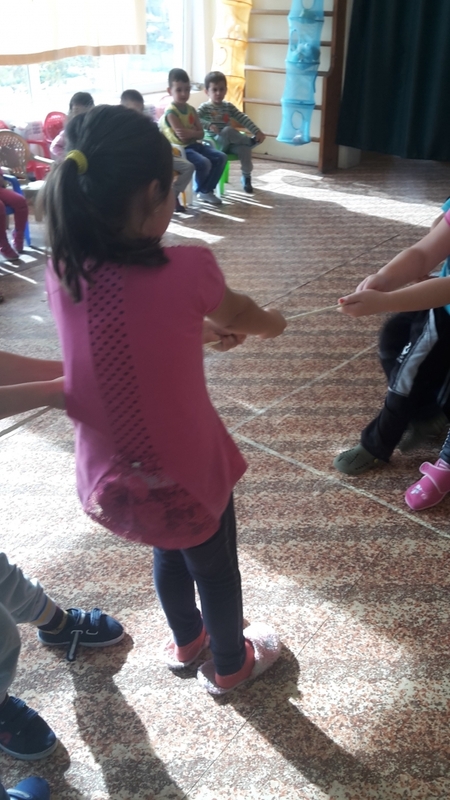 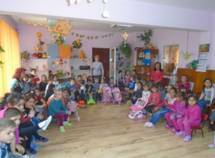 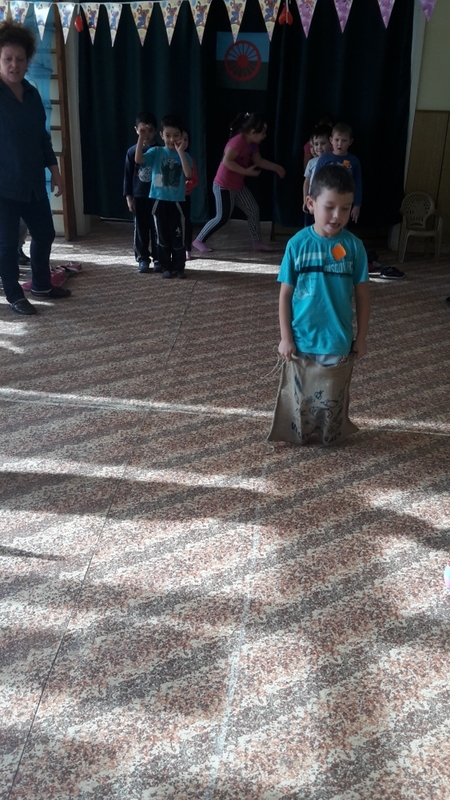 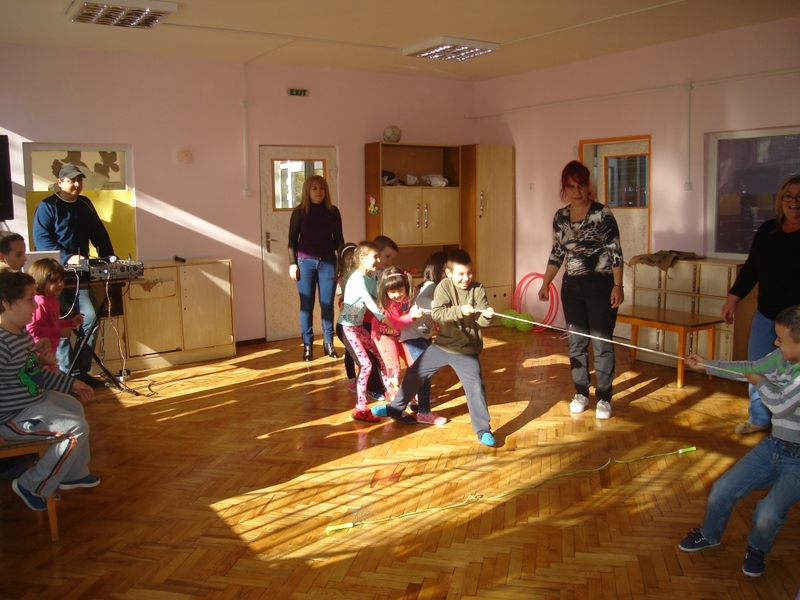 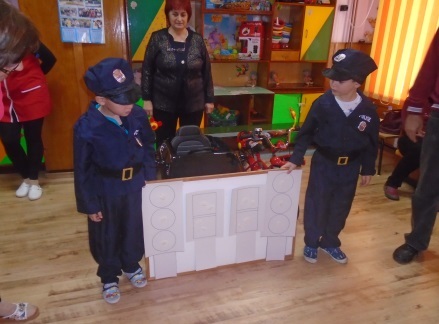 In all kindergartens in Smyadovo and Vetrino municipalities will be formed specific interest groups: „To learn Bulgarian language", „Deft hands", „One green footstep”, „I am a cameraman and I relate about my family” and “We play, we do sports and we observe the safety rules ”. 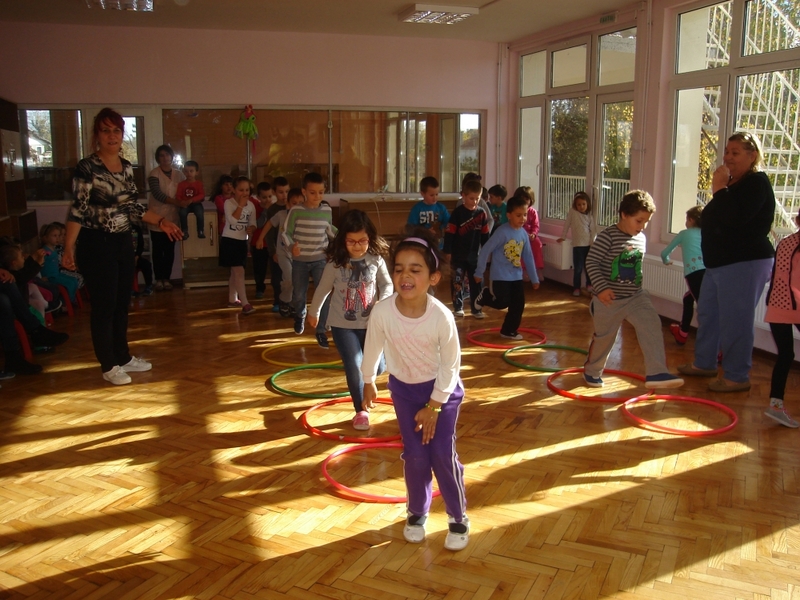 Every child will be placed in learning environment where she/he could play, to create, to draw and learn Bulgarian language. 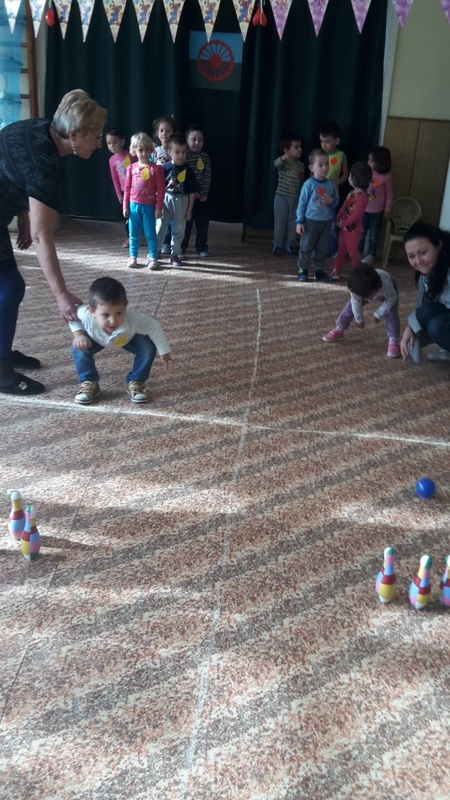 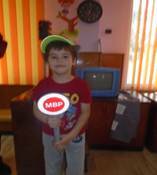 With the methods of the game the children with different from Bulgarian mother language will develop communication skills and will prepare for writing on it. 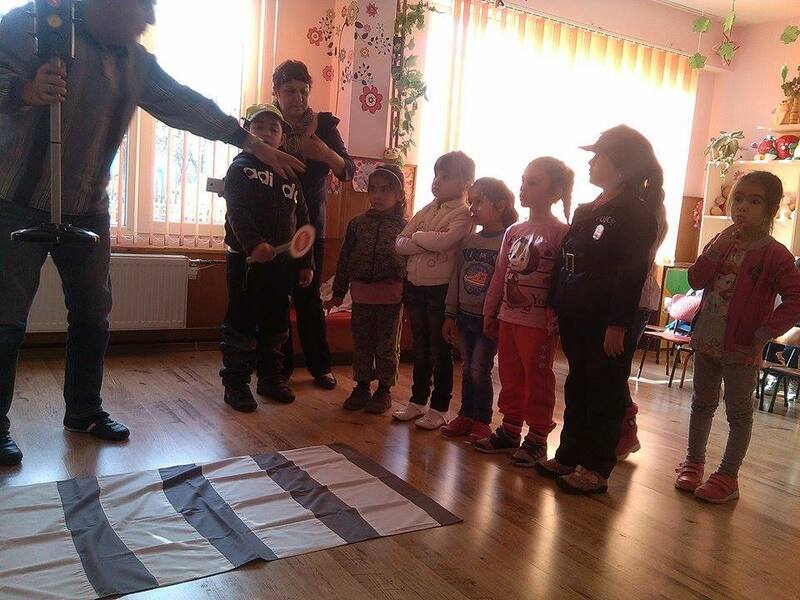 In order to be attractive and interesting for the kids, the educational process will be supported by multimedia games- “Lettering” and „Numbering”. 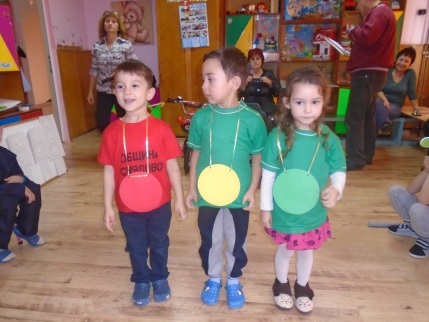 In “Garden for all” the teachers from the whole municipality will learn good practices for work in multicultural environment and the parents will participate in the organization of the celebrations and thematic fests. 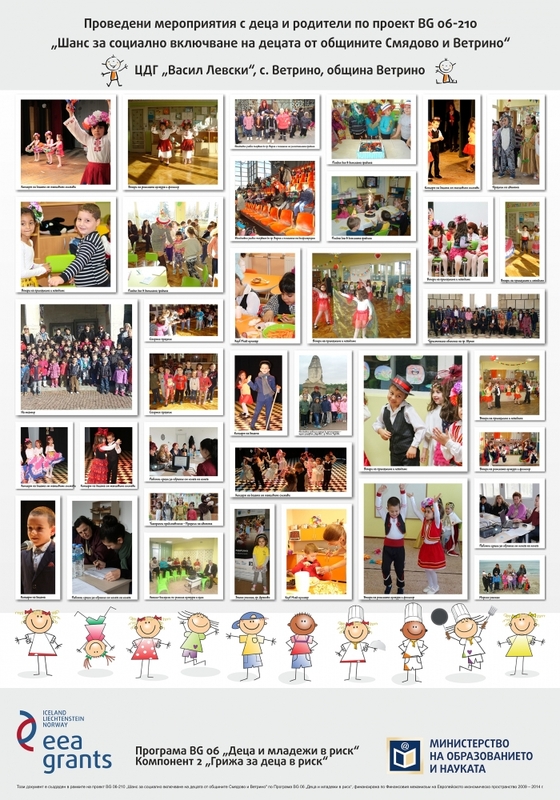 Under the supervision of the teachers, for every child from the target group there will be prepared a „Child’s diary”, including the following: Genealogical tree, Day by day, I grow up, My Health and Gallery. 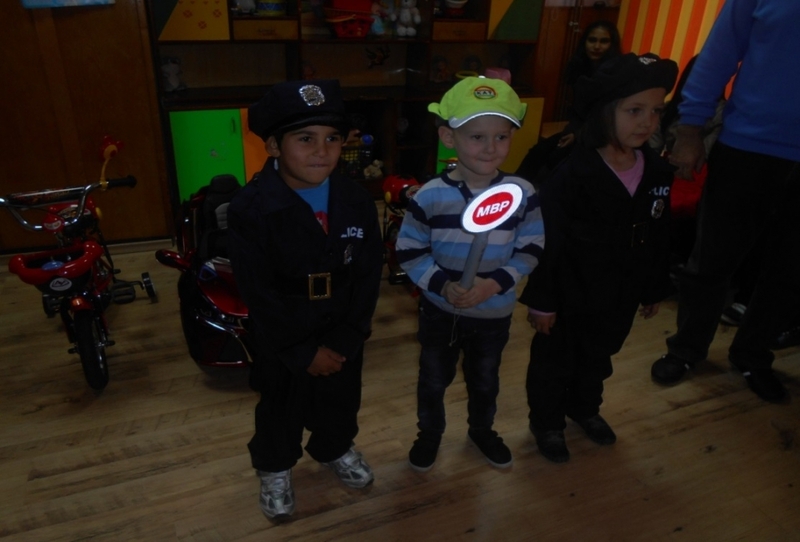 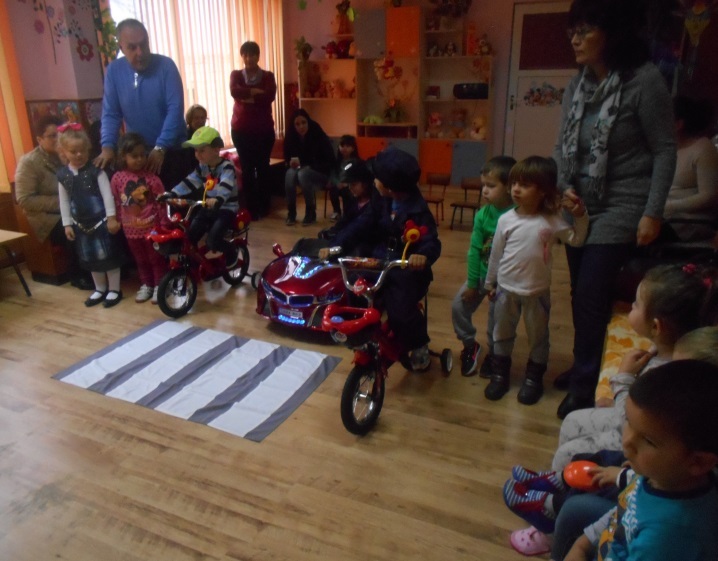 There will be theatres played for children from other kindergartens with one event in Smyadovo and one in Vetrino municipalities. 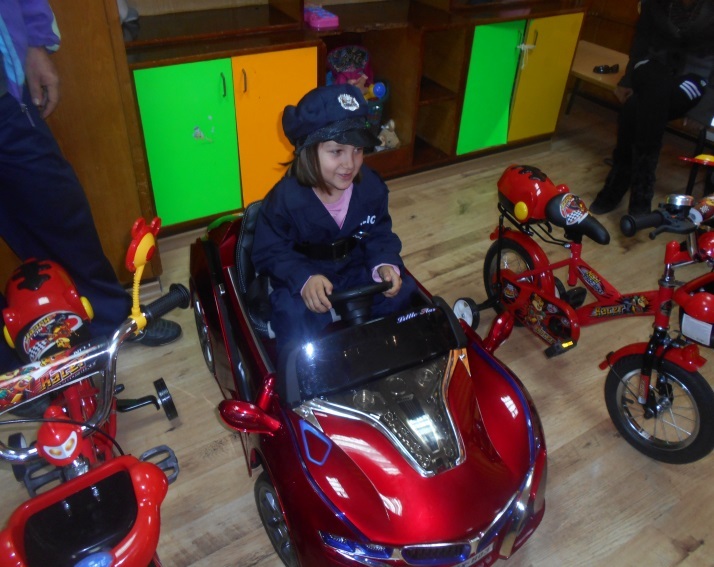 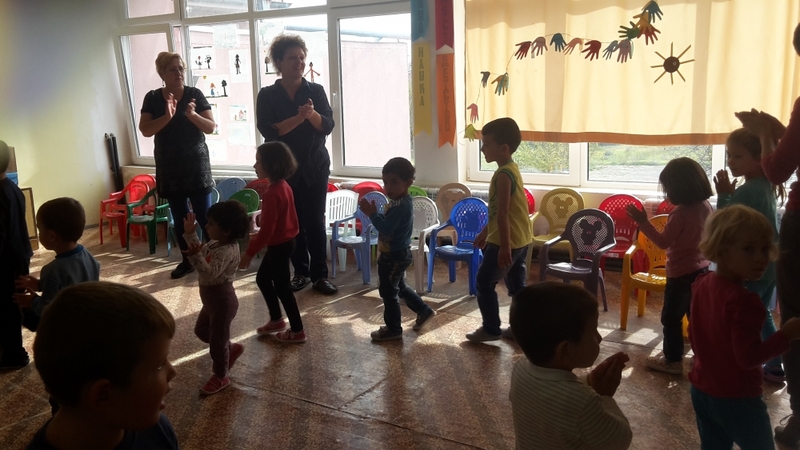 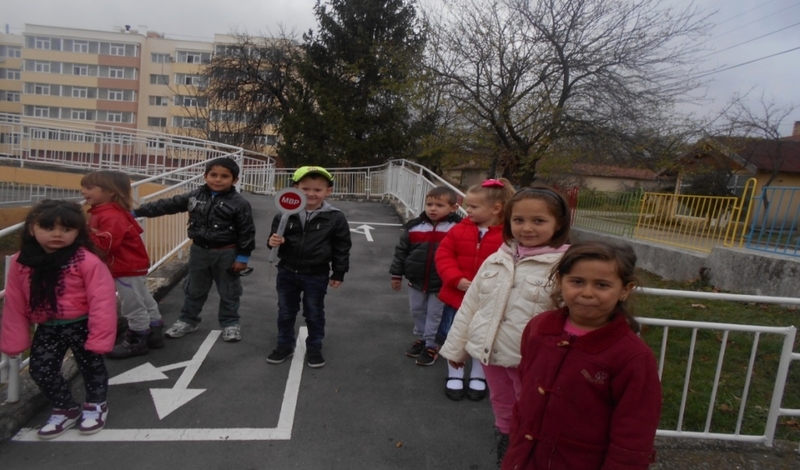 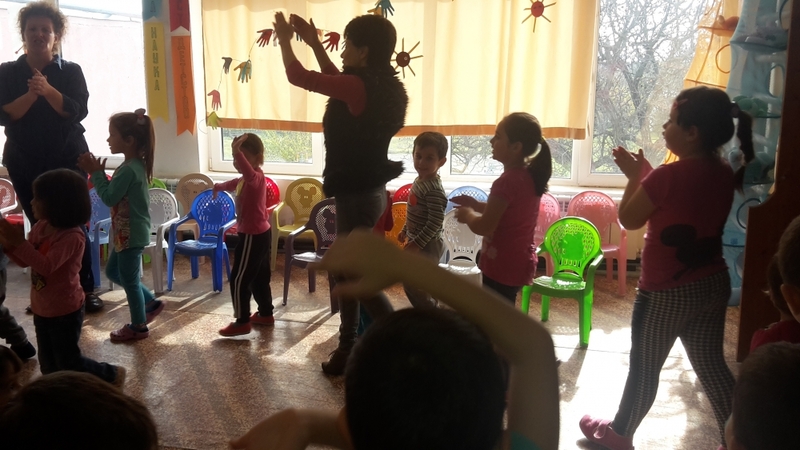 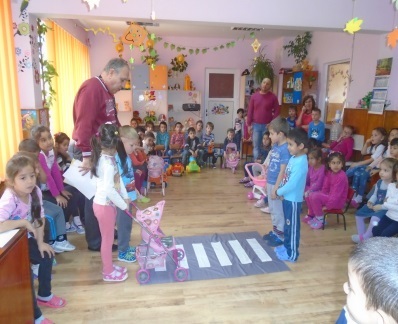 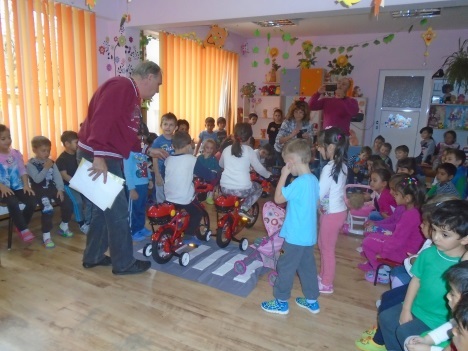 Safety rules lesson at kindergarten "Radost"
This site was created with financial support of the Financial Mechanism of the European Economic Area. 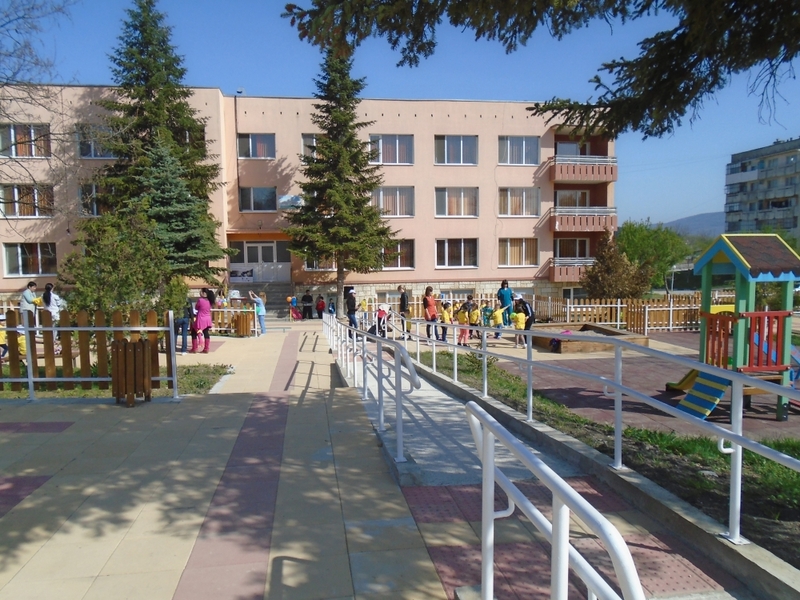 The entire responsibility for the contents of the document lies in municipality Smyadovo and Vetrino and under no circumstances can be assumed that this document reflects the official opinion of the Financial Mechanism of the European Economic Area.